It’s heating up out there. 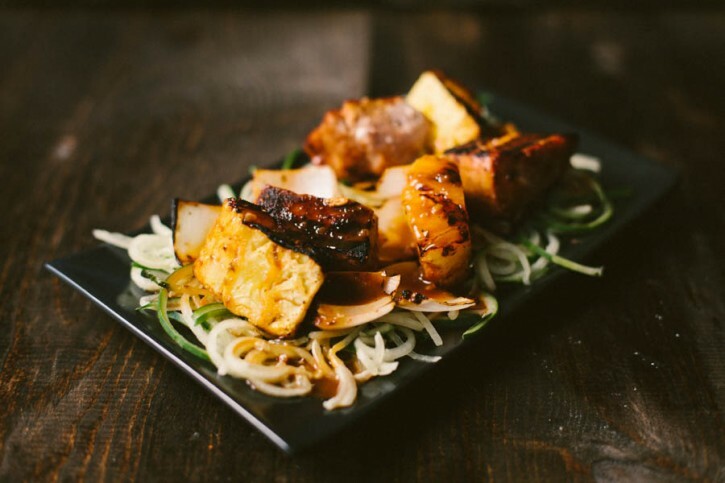 Cool off with this refreshing recipe for Asian inspired grilled pork loin, pineapple and onion skewers on a bed of cool crisp cucumber noodles, smothered in a sweet, salty and spicy peanut sauce! 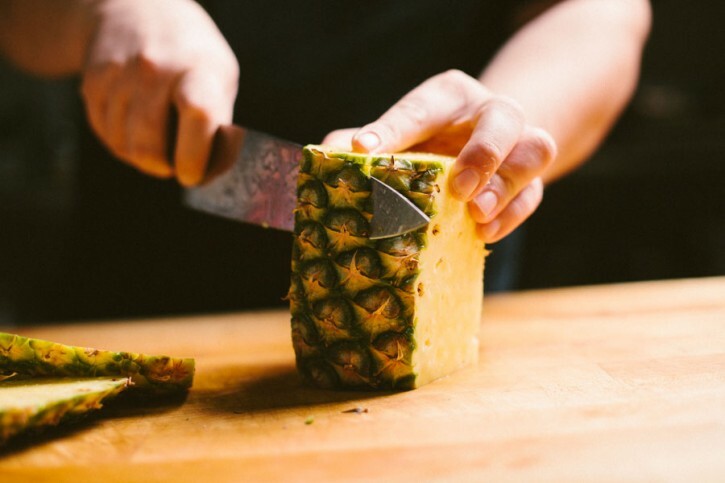 Fresh pineapple is the best! Simply square off the top and bottom, cut off the prickly skin and slice down around the core. Now you can choose to make your perfectly sized chunks for grilling. We’ve chosen to keep like ingredients on their own skewers to ensure each component is cooked to perfection! 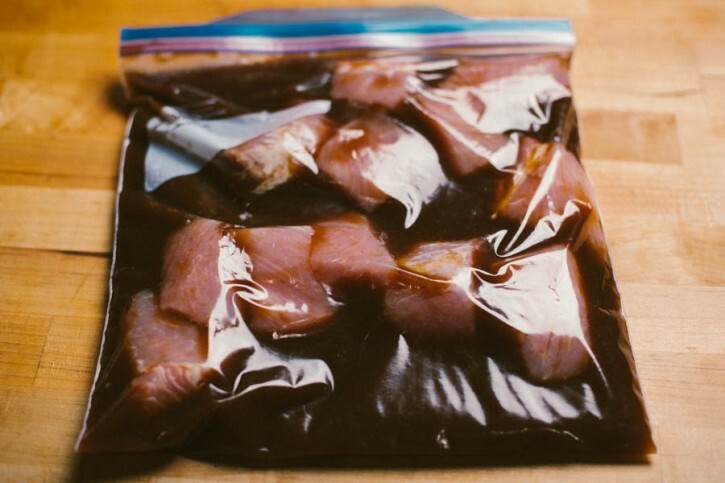 Soak the pork submerged in Smoke on Wheels Pork Marinade & Injection in a brining container or zip top bag for 60-90 minutes. Remove from the marinade and pat mostly dry with paper towels. Preheat your grill (we're cooking on a Napoleon Grills Prestige Pro 665)to medium high (400ºF-450º), set up for direct grilling. Thread the pork onto skewers, leaving some room in between the pieces. Do the same with the pineapple and onion. Do not mix these items on a single skewer, as they will take different amounts of time to cook. 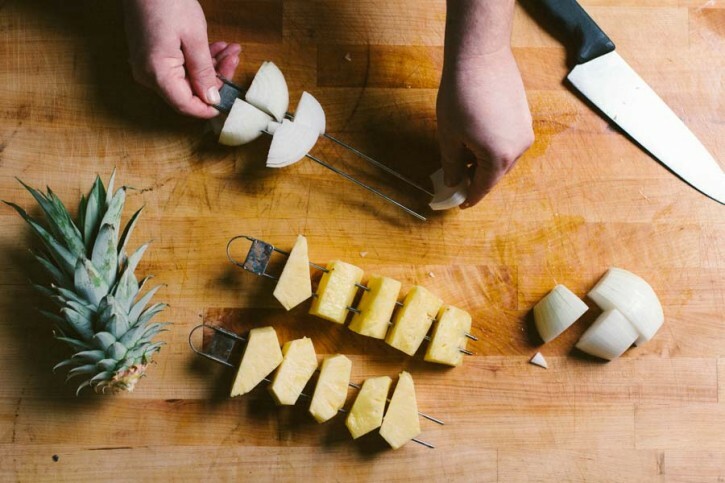 Season all skewers with Dizzy Pig Pineapple Head Rub. Grill the skewers on all sides. 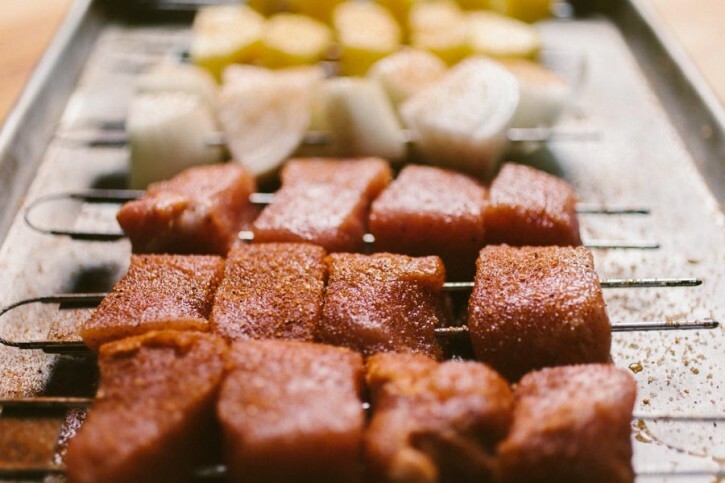 The pork is done when it reaches an internal temperature of 140ºF. The onions are done when they are slightly charred and softened. 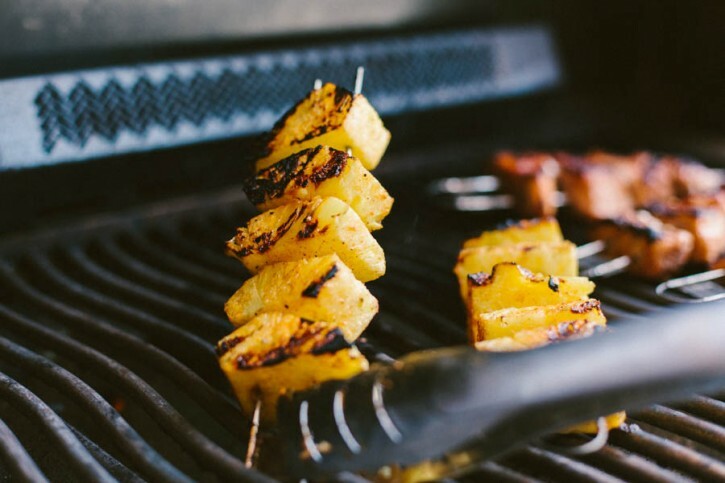 The pineapple is done when it has nice grill marks. 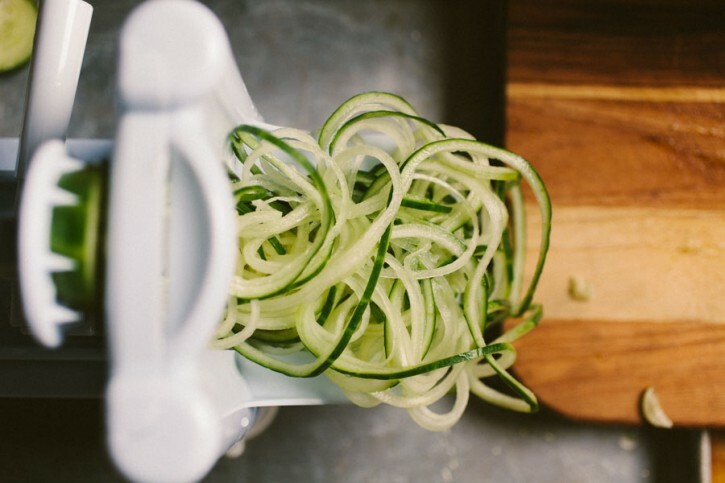 Using a vegetable spiralizer, make noodles out of the cucumber. Place the skewered foods on a bed of cucumber noodles and smother with Kim’s Gourmet Spicy Peanut Sauce.